Black Vultures Nature Camp (Kartali 2016) supported by LIFE Vultures project in Rhodope Mountains rewilding area, Bulgaria. The Black Vultures Nature Camp, called Kartali 2016 Camp (Bulgarian word for black vulture), took place in the Studen Kladenets nature reserve in the Rhodope Mountains rewilding area. 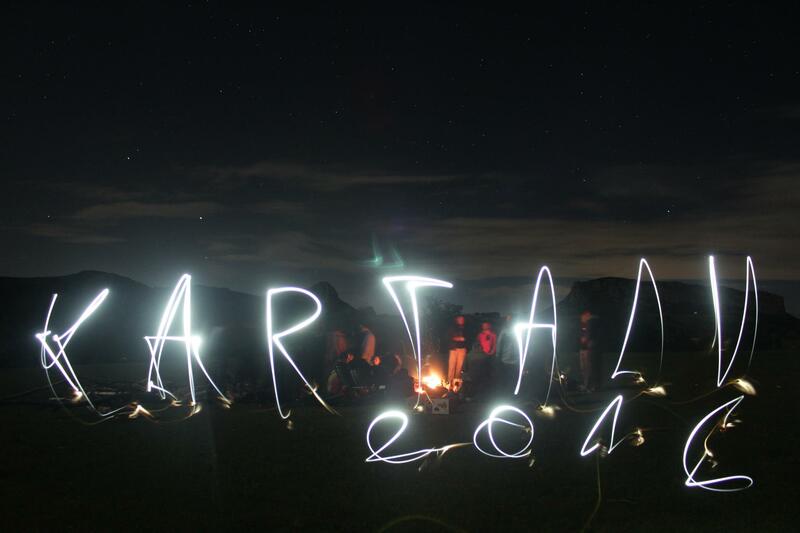 The 5-day long camp gathered more than 50 students and nature lovers from all over Bulgaria. The area is regularly visited by black vultures (coming from Greece) and is close to two protected areas that harbor 40% of the griffon vulture population of Bulgaria, and two pairs of Egyptian vultures. It also holds a very dense population of fallow deer and wolves, tortoises and rare plant species. Kartali 2016 Camp aimed at encouraging young people to spend quality time outside, have fun and explore nature while making friends, developing skills and gaining insights into their relationships with others. The camp also targeted young nature enthusiasts who want to take their knowledge about the natural world to the next level by gaining hands-on field experience. While taking part in various camp activities, participants explored this beautiful area and enjoyed having outdoor adventures. Final day of Kartali 2016 nature camp in Rhodope Mountains rewilding landscape, Bulgaria. This year, the organizers from BSPB/BirdLife Bulgaria prepared a programme that included a variety of activities during the day, and presentations and discussions during the evening on rewilding and related topics. The educational part included a course for youth about field practices, conservation tools and different approaches to biodiversity conservation in Bulgaria. Leading specialists in vulture and biodiversity conservation organized educational workshops and field trips where participants received training in vulture monitoring technics. Most of them were able to grow their knowledge each day as they moved through birding basics about songbirds, raptors and water birds. Kartali 2016 Camp gave participants a better understanding about the lives of birds, especially the griffon vulture colony in the Rhodopes rewilding area which is the only original wild colony in Bulgaria. Some of the other field tasks included observation of amphibians and reptiles, detection of rare plant species, monitoring of common birds, mammals and others. 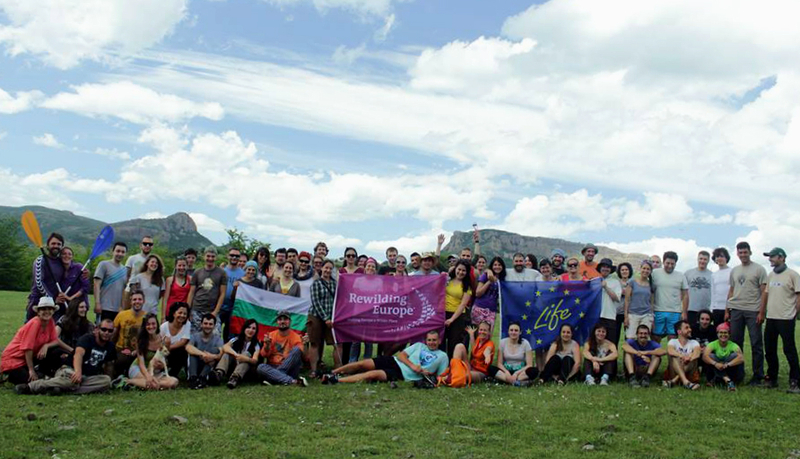 During the camp team members of Rewilding Rhodopes shared the rewilding vision, principles, philosophy and experience with the participants. The Rewilding Rhodopes team members introduced students with rewilding activities taking place in this rewilding ‎area and invited them to become part of the growing rewilding movement. LIFE Vultures project is funded by LIFE financial instrument of the European Community. The Kartali 2016 Camp was made possible with the special support of the European Commission through the “LIFE Vultures project: Conservation of Black and Griffon vultures in the cross-border Rhodopes”, developed by Rewilding Europe in partnership with Rewilding Rhodopes Foundation, Bulgarian Society for the Protection of Birds/Birdlife Bulgaria, WWF Greece, Vulture Conservation Foundation and Hellenic Ornithological Society/BirdLife Greece. As every year, Earth Day is celebrated on April 22nd with the aim to inspire, challenge ideas, ignite passion and motivate people to take action. The Rewilding Rhodopes team marked this year’s Earth day through celebrating it together with young children from the town of Kardzhali. It was interesting to see the perception they had about rewilding: both children and their teachers positively reflected on rewilding ideas and vision for Europe as a place where nature can take care of itself. They were very curious and eager to learn more about what nature conservation is, and what activities are taking place around their homes. Children watching the documentary “Tarpans – repainting an ancient picture” as part of Earth Day celebration, Kardzhali, Bulgaria. Among the highlights on the Earth’s Day programme was the documentary “Tarpan – Repainting an Ancient Picture”. This film caused a lively interest and reaction among the youngsters. Altogether 150 children from different schools of the surrounding area watched the documentary. The movie hall turned too small for all these wildlife enthusiasts so two screenings took place. After the screening, the Rewilding Rhodopes team held a small ‘Questions and Answers’ session with the children. Most of them were curious and willing to find out more about the possibilities to visit the rewilding area and see the wild horses. One of our team members was even asked for an autograph by a girl from the audience. She turned out to be a true admirer of wild horses who happened to be her favourite wild animals. The children were also quite impressed by the accompanying exhibition “The wild world of the Eastern Rhodopes”, presenting the wild nature of the area. Even though most of the children live here, some of them were unfamiliar with the exceptional biodiversity and wildlife richness of the area. 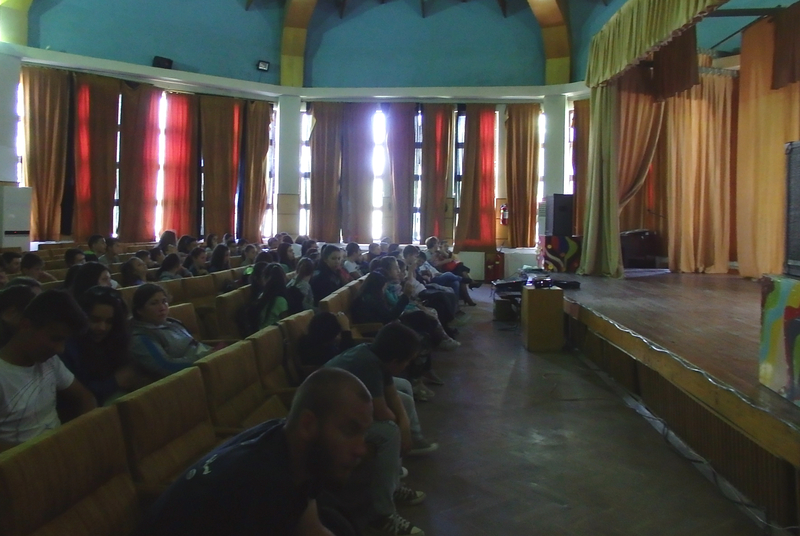 The screening of the documentary and exhibition was part of a school conference about good environmental practices called “The earth – Our Home”. It was very inspiring to see how our rewilding work is motivating this young generation and has raised their emotional connection with nature. We hope they will actively help shaping the future of this region!